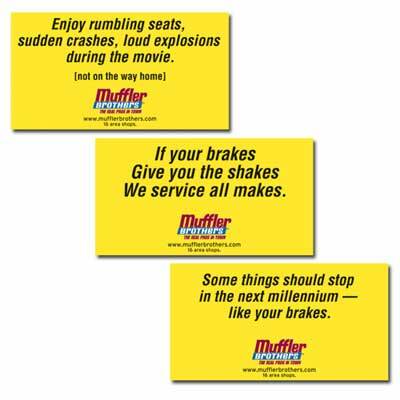 Right before and during the first four weeks of the theatrical run of Star Wars Episode 1, we were in the cinemas showing these ads telling people that Muffler Brothers was the place to go. These ads were simple, but effective. Sometimes saying the right thing in the right place at the right time really works.